Having won the 2013 and 2014 Best HVAC Contractor Services Award for the outstanding customer service, NPM Heating & Cooling has been offering high tier HVAC services for over 50 years. Our mission is to provide you with the best service, to treat you and your concerns as if they were our own, and to treat you as part of our family. Our technicians are extremely well trained, qualified, and knowledgeable on the products we install and service and have worked very hard at what we do. We often repair/install Goodman and Amana, NPM Heating & Cooling can also install, repair, or maintain ANY brand of Heating and Cooling Appliances. Our servicemen are NATE Certified, licensed, insured, and bonded to save you tons of money later on down the road. We provide custom solutions and equipment maintenance plans. NPM Heating & Cooling is the only call you need to make. For more details, visit http://npmheatingandcooling.com/ or call (636) 447-4244. We have NATE Certified, licensed, insured, and bonded technicians ready to help. We specialize in the installation, repair, and maintenance of all the Amana Heating and Cooling Appliances.We install, maintain, and repair all major brand furnaces, heat pumps, and air conditioners. Click on the image for larger image.Heat wave or ice age, we want you to be comfortable in your home. So sit back, relax and breathe easy with heating and air conditioning systems from Amana brand. Contact us for more information on our services. We have NATE Certified, licensed, insured, and bonded technicians ready to help. 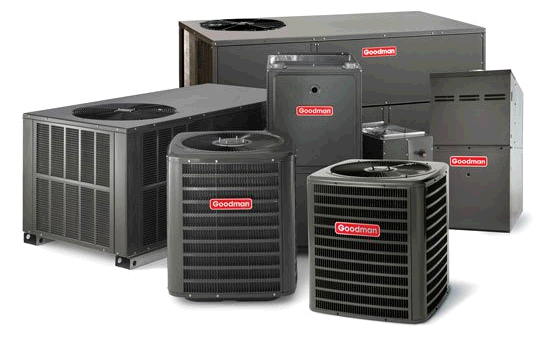 We specialize in the installation, repair, and maintenance of all the HVAC Goodman Appliances Heating and Cooling Appliances.We install, maintain, and repair all major brand furnaces, heat pumps, and air conditioners. Click on the image for larger image.Heat wave or ice age, we want you to be comfortable in your home. So sit back, relax and breathe easy with heating and air conditioning systems from Goodman brand. Contact us for more information.